April 18, 2019, Madison, Wisconsin –Impact Association Management (Impact) is pleased and proud to announce the signing of the Association of Fundraising Professionals Greater Madison Chapter (AFP Greater Madison) as their newest client. The Association of Fundraising Professionals Greater Madison is a strong chapter within AFP that consists of over 200 members. These members are fundraising professionals and community members. The members and Board of Directors work towards AFP Greater Madison’s mission which states, “AFP Greater Madison is a partnership of people and organizations devoted to advancing ethical and effective philanthropy through education, professional development, networking and outreach. Impact Association Management was founded in 2006 by Jodi Fisher, and since then they have successfully supported many Associations in growing and increasing profits and memberships. Now expanded into a robust team, Impact consists of Social Media experts, Non-Profit Administrators and Executive Administrative Assistants with impressive backgrounds in Association support, small business operations and international corporations. Their mission is to provide customized, efficient, and forward-thinking association management services to small and medium sized Associations with a highly skilled, dedicated team of Executive Administrators. Caroline and Tammy are IPAC’s Executive Administrators. These two have been hard at work transitioning IPAC over to Impact. There are many steps involved in on-boarding a client and they have managed to do so quickly and efficiently while learning the day to day tasks involved as well. Caroline and Tammy have also been supporting IPAC by helping with chapter event planning, email management, website updates and maintenance, membership data, and more. We look forward to helping this group grow in every way possible! As a group of Executive Administrators, we see a variety of ways to handle different obstacles in an association. Most of our clients use an online member management system including WildApricot, Your Membership, StarChapter, and more. If you are hesitant about investing in a member management system, here are a few reasons you should make the switch. 1. Storing data. Nobody wants to maintain paper documents filled with important information scattered around their office or locked away in filing cabinets. Luckily, member management systems can store information about members, events, expiration dates, committees, and more. Having it in the system makes it convenient to search and quickly find information. 2. Easier payments. With an online platform, you can have members easily pay for membership renewals, events, and conferences. This eliminates the act of sending a check, waiting on it to be received, and the drawn out process involved. 3. Personalized adaptions. Membership management systems are completely designed to work with associations. This makes building your website and any special features easier. Creating new and varying membership models is an option you can find on a membership management system that you could not find on a standard website. If your association can relate to one of these points, it is time to make the move to a member management system. The difference it can make is astounding! If you are interested in investing in a member management system, read our blog on Wild Apricot! This week’s Client Spotlight focuses on a client we have worked with now for 2 years, Surfaces in Biomaterials Foundation (SIBF). SIBF is a foundation dedicated to exploring creative solutions to technical challenges. The group fosters education and multidisciplinary cooperation among industrial, academic, clinical and regulatory communities. Members of SIBF receive discounted member rates at BioInterface, name recognition in Foundation publications, SurFacts newsletters, and more. This organization is very connected with their community and members. They also host an Annual BioInterface Workshop and Symposium where members are enriched by science and high quality interaction among academic, regulatory and clinical attendees. Ingrid is SIBF’s Executive Administrator. She supports SIBF’s email management, financials, website updates, and conference planning. She has built a strong relationship with the board and is always on top of everything. We have loved seeing this partnership evolve over the years and look forward to continuing to help grow the foundation. We often find ourselves scouring the internet for information or simply something to do. When we have a question about something, the first thing we do is Google it. The top few results are also going to be as far as we look for that information. Your association’s website should always be up to date for both potential and current members. Make sure that all of the information on your organization’s website is easy to find and most importantly present on the website. The website should include member benefits, upcoming events, your mission statement and more! The more compelling information you include on your website, the more potential members will be interested. This could include photos from past events or testimonials from current members. It is also important that the overall image of the website looks clean and modern. The last thing you want, is for a potential member to come across your page and get the impression that it was last updated when the internet was born. The design can be simple and sleek while still being visually pleasing. The association’s website should also include a place for potential members to fill out an application. If they visit your site and like what they see, there should be an easily accessible spot for them to make their decision to join. This goes for membership renewals as well. Make sure everything is right at the fingertips of your members. After doing a little website spring cleaning, track your website’s analytics. You can then follow what your visitors are most interested in and continue improving from there. Keeping your website up to date with everything your members and potential members could possibly need, will help to establish your organization. People go onto the internet expecting to find the answers they are in search of and will be frustrated if they come up short. Cleaning up your website, could just be the key to membership recruitment and retention. Sharing more about our clients has been a blast so far and we are excited for you to get to know another! The Nebraskans for Workers’ Compensation Equity & Fairness (NWCEF) joined us in 2018. This organization was set in place to analyze workers’ compensation laws and issues, and to seek equitable means of providing workers’ compensation coverage. The goal of NWCEF is to promote balance to workers’ compensation in Nebraska. Members of NWCEF strongly believe in their mission. Their dues help NWCEF defend against trial lawyers and union initiatives, keeping insurance rates as low as possible. They also receive up to date information on Nebraska’s workers’ compensation system to better prepare them for any challenges. Members are provided members-only information, are able to participate in members-only discussions online, and are able to attend the annual seminar at no cost. Here at Impact, we work hard to ensure things run smoothly for NWCEF. Our mission is to support their mission. Heather is the Executive Administrator for NWCEF and manages NWCEF’s inbox, financials, website updates, meetings, and member communication. Heather understands the needs of NWCEF and keeps an open line of communication in order to fulfill those needs. Conference calls can be a great way for the Board of Directors to meet without coming to one central location. The convenience of them saves time and energy that in-person meetings might exhaust. Conference calls, however, can still often get derailed and take longer than necessary. Below are a list of ways to make your next conference call more efficient. 1. Test the program. It is important to test the software before beginning a call. Make sure all participants are provided the dial in codes and ensure everything is running properly before the call. This step of preparation will keep the calling running smoothly and will avoid the risk of wasting the time of other participants if difficulties arise. 2. Prepare an agenda. This is another step that can and should be taken before beginning the call. Write out an agenda that outlines the necessary talking points. You should also include a list of attendees that will be on the call. This eliminates the guessing game of trying to piece together who is talking. Things might not go exactly as planned but at least you can double check that everything that needed to be covered is covered. 3. Be on time. The time is set based on the participants availability. Because of this, you should be free to join the call and the start time. If you are late, you could be running into the time that other people are not available. It can also cause a disturbance at the beginning of the call. The participants may not know how long to wait for you before getting started and an interruption of you joining the call and needing to be caught up can slow things down. Be ready to go right at the start time and encourage others to do the same! 4. Find a quiet place. There is nothing worse than hearing a tv blasting, a dog barking, or a kid crying on the other end of a conference call. Find the quietest place in office or home and block out all noises for the length of the call. 5. Know when to mute and when not to mute. Speaking of quiet, do not forget the mute feature on your phone. Once you have introduced yourself, put your phone on mute to eliminate background noise. Be sure to keep up with whether you are muted or not. When asked a question, be ready to un-mute yourself and answer in a timely manner. 6. Focus. It is easy to find yourself zoning out or working on other tasks while on the call, however, the call should be your number one priority. The call is in place for a reason and should be as important as an in person meeting. Providing your full attention is respectful and will keep you better informed. Following these simple steps should keep things on time and well-organized. Pharos Alliance is an executive advisory firm that specializes in strategic planning, organizational and leadership development for entrepreneurial organizations. The team at Pharos Alliance feels that if a business has a need, they have a solution. Pharos Alliance has done everything from helping a business establish a new culture and set of values to taking on leadership changes. Dr. Lisa M. Aldisert is the president of Pharos Alliance Inc. She has over 35 years of experience that have prepared her for her position with Pharos Alliance. This experience includes corporate conglomerates, privately held businesses, and owning her own business. Pharos Alliance joined Impact in 2018 and has smoothly transitioned under our care. Tammy Foshay is the Executive Administrator for Pharos Alliance. She regularly handles email and database management. Tammy also communicates with Dr. Aldisert weekly to strategize and plan out administrative tasks. The two are in frequent communication to ensure they are on the same page and doing all that needs to be done for Pharos Alliance. This partnership has grown tremendously since it was formed and we are excited to see what else we can provide for Pharos Alliance. Marketing your organization’s events to guests is always a good idea. You might, however, find that these guests continue to pay the guest price rather than ever joining the association. We have a few suggestions that could be just what your guest needs for that last push into membership. Follow up with your guests. Reach out to your guests via email and let them know how much you appreciate them visiting. In this email, you could include links to the website as well as a list of upcoming events. Once they are to your website, they will be able to see member benefits and more. The email will also make them feel valued and will make them more likely to sign up as a member. Shine a light on guests through social media. Take pictures at your event and make sure to get some photos of guests. Let them know that the pictures will be on the organization’s social media page. This might make them more inclined to visit the social media page and get more of a feel for the association. It also allows them to feel special and as if they are already a part of the organization. If you are not opposed to docking the price of membership or events a little bit, discounts are always a strong motivator. In the email you send to guests, let them know that if they sign up for membership before the meeting, they will get a free ticket to the next event or a discounted membership price. Setting the deadline will pressure the guest to sign up. Also, who doesn’t love a nice discount? Along with a follow up email, you could also send or call for a survey of the event. Ask the guests what they enjoyed? What do they want to see at future events? Were they welcomed? These answers could not only help your organization in recruiting future guests, but also force the guest to consider all the positive experiences they had at the meeting. You could then invite them to join the organization and cross your fingers. Converting non-members to members is always the goal. These guests that sign up for events are already familiar with the organization and interested in the industry. A quick moment of reaching out could make all the difference. Do you find yourself answering the same questions concerning your association every other day? If so, save yourself some time by adding a FAQ page to your organization’s website. This allows your members and potential members to quickly find information. Once you have decided to add this section to your website, start to compile a list. If people are asking you how much dues are per year, add it to the FAQ page. Even if the information is on another page of your website, it will not hurt to duplicate the information. Here are some questions to get you started! · What does your organization do? · How much are membership dues? · How do I join? · How do I access my account? · How can I renew my membership? · How can I sign up for the email newsletters? · When are the meetings? · Can I attend meetings and events without being a member? Providing a place for people to quickly get their answers will save you many emails and phone calls and will make the organization seem more established. If people cannot find the answers, they may also give up. You can always add questions or make revisions as things change in the organization. You won’t regret taking the time to set this up for your organization. Associations are always looking for different ways to reach their members. Social media posts, emails, and meetings are great ways to do so. If you are looking for another point of communication, consider email newsletters. Newsletters are a way to provide useful information and resources, as well a way to keep members up to date on upcoming events and more. Coming up with content for a monthly newsletter can be daunting at times, but we are here to help! Try using these ideas to get your newsletter up and going. Information. Make the newsletter a worthwhile read by providing important information about upcoming events, reasons to attend those events, and any costs associated. Blogs. Link to blogs you have done in the last month. Members might have missed your post about them and should be exposed more than once. If you don’t have a blog, you can always link to another blog in your industry. Get to know the board. Include a section highlighting a different board member every month. Give a little insight into who that person is and how they got involved in the association. You should also inform members when the board turnover occurs and include a picture of their new board. Review Benefits. Reminding members of why they joined is important in member retention. Review how a benefit can be utilized or introduce any new benefits. Visuals. With all of this content, make sure to include photos from events or photos that relate to the topic being discussed. This will keep readers more engaged. If you are looking to start a newsletter, we encourage you to check out Constant Contact. This platform is professional, yet easy to use! If you want a taste of how to put these elements together, sign up for our e-newsletter! Kids’ Chance of Nebraska has fundraisers throughout the year including their annual bowling and golf events. These events are a fun way to get the community involved and gives donors an experience to remember. Donors often include parties to the workers’ compensation industry, including law firms, medical providers, insurance companies, insurance brokers, vocational rehabilitation and case management companies and employers. Here at Impact, we happily support this entirely volunteer based organization. We provide marketing, email management, website updates, member communication, and more. Ashley and Tammy are the Executive Administrators for Kids’ Chance of Nebraska. These two keep everything running smoothly and have a full understanding of the organization’s goals and mission. They look forward to continuing this partnership and making KCNE the best it can possibly be. Impact’s team member, Kristen, attended MPI Wisconsin’s event on social media. Kristen has a strong interest in marketing and social media and thought this would be an informative session. She was right. Lisa Demmi is a Professional Speaker and Social Media Expert. She started the session off with lively stories, jokes, and a magic trick. After the crowd was engaged, Lisa delivered a presentation that left guests with a breakdown on how to improve their organization’s social media by explaining what your audience wants to see, explaining how social media should be used as a tool, and pointing out where you can find your content. Lisa defined content as anything you share that explains your company. She then asked the audience what they did not like to see on social media. She was answered with shouts of politics, ads, negativity, too many posts, and repetitive content. Lisa emphasized the importance of keeping in mind what you do not like to see on social media when posting for your organization. This will keep your audience happier and show your organization in a better light. It will also prevent your followers from quickly scrolling past your posts. The importance of using your social media outlets as a relationship tool versus a sales tool was also discussed. It is often easy to fall into the habit of posting your organization’s services, however, this is not what your audience wants to see. It is important to show your personality, educate, and entertain your followers. The speech also covered where to find your content. No matter what industry you are in, you will find yourself answering the same 10 questions repeatedly. Lisa suggested that you should take those questions and create content out of them. If your association finds themselves answering questions about upcoming meetings every month, provide the answers ahead of time. This ensures you are providing your audience with useful information. To further engage your followers, announce ahead of time that you will be giving this information out. This will give you multiple posts and will keep your audience of the lookout for the information. Overall, the event was incredibly helpful. Kristen came away knowing how to better add to the conversation on social media, creating relationships and engaging the audience. We suggest you take some of these tips and apply it to your organization. One change might make all the difference. 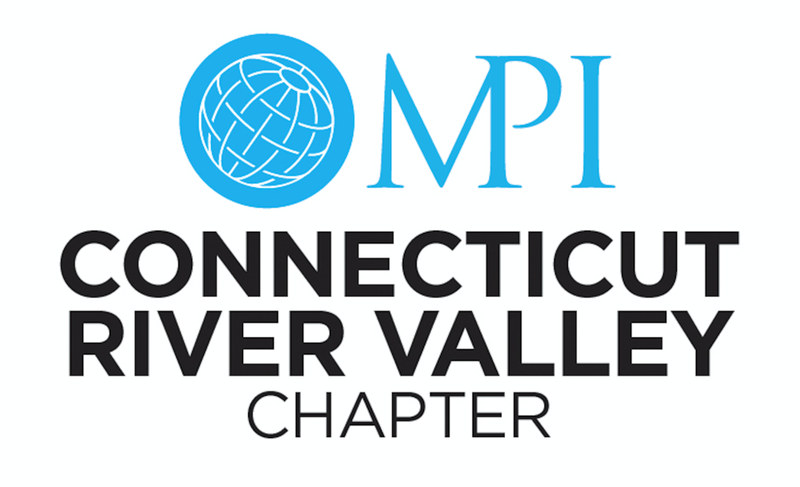 February 12, 2019, Madison, Wisconsin –Impact is proud to announce the signing of Meeting Professionals International-Connecticut River Valley Chapter (MPI CRV) as their newest client. Impact was founded in 2006 by Jodi Fisher, and since then they have successfully supported many Associations in growing and increasing profits and memberships. Now expanded into a robust team, Impact consists of Social Media experts, Non-Profit Administrators and Executive Administrative Assistants with impressive backgrounds in Association support, small business operations and international corporations. Their mission is to provide customized, efficient, and forward-thinking association management services to small and medium sized Associations with a highly skilled, dedicated team of Executive Administrators. We all know that social media and being present online is crucial. It is recommended to post 2-3 times a week or more. Some days, however, you might find your self struggling for new content or repeating past content. Content calendars can be a life saver on days where your inspiration is lacking. Whether you use Hootsuite, Google Calendars, or a plain Jane paper calendar, you will thank yourself in the long run. Using a content calendar, allows you to spread out your material. Say that you have 5-6 topics you want to cover on social media: membership benefits, upcoming events, industry related news, website content, and member spotlights. Once you decide on these topics, you can look at a calendar and easily space them out to ensure content will not be redundant. You can post about one membership benefit every Monday. Dive into how that benefit can change the viewer’s experience. Tuesdays could be to update members on upcoming meetings or conferences, and so on. Having it organized will create a better flow for your content and keep your audience coming back for more. Content calendars also keep you prepared. If there is a day you are lacking creativity, you will be appreciative that you planned ahead. It is best to sit down towards the end of the month and plan out the content you want to use in the next month. The amount of detail is up to your own preference. Maybe you want to write out exactly what you will say in each post or perhaps you prefer writing a topic in the calendar to give you something to work with later. Either way, the preparedness you will have from planning out your content will reduce your stress and make your significantly easier. Of course when it comes to planning anything, there is always the possibility that things will change. A new event might pop up, something major might have occurred in your industry that you should cover, a transition in the Board of Directors might take place. These are all things that can be improvised into the calendar. It is not something you have to follow faithfully, simply there to ease the process of marketing your organization!